We are completely enjoying our summer. The kids aren't enrolled in a single sport activity. They do have a few VBS's coming up and those always make for a bit of a crazy week. I'm doing lots of jewelry (thank you buyers! LOVE you guys!!) and photo sessions. One of my clients the other day, however, stood me up. Hmph. 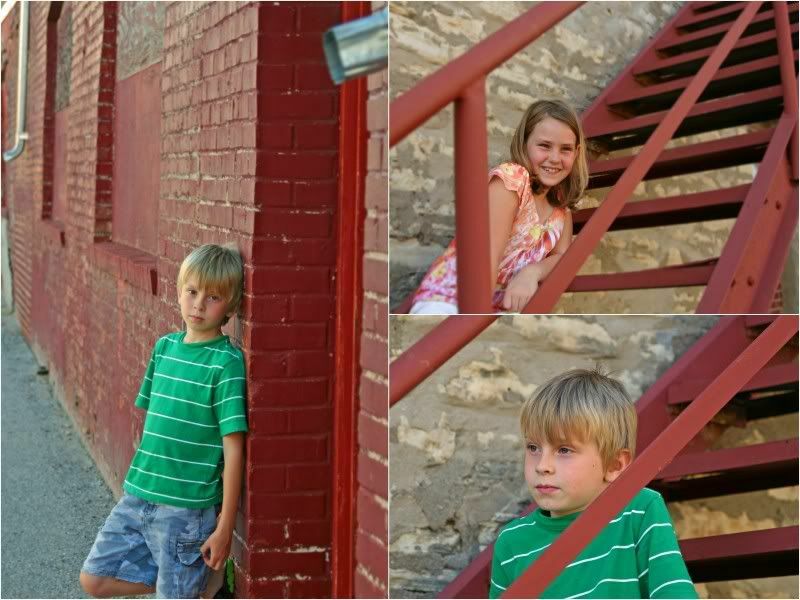 It was too beautiful of an evening to let pass by, so I went and grabbed the kids and made them model. Their clothes were mismatched, and their faces were dirty, but we had a good time. They loved how this piece of trash on the ground formed an arrow. I hadn't even noticed! The Baby was behind me rolling around on the ground screaming for most of it. That's why he's not in the pictures much. 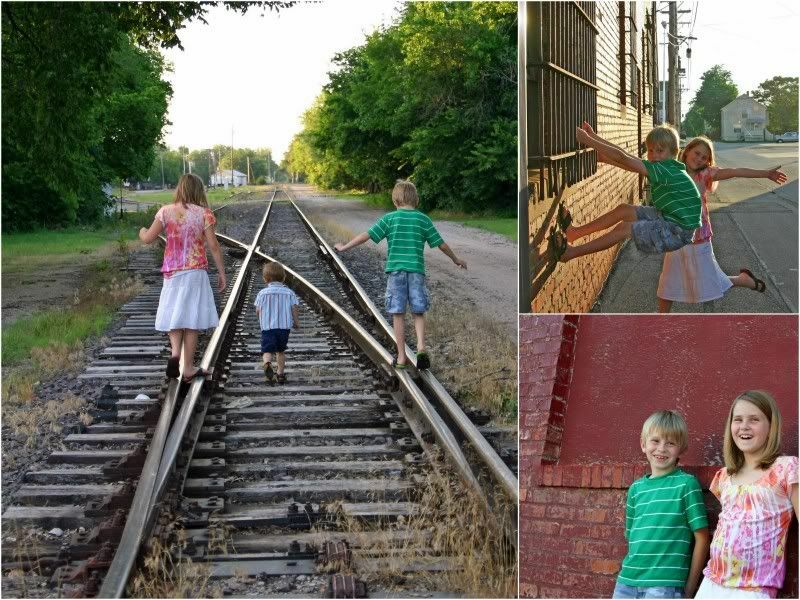 When we got to the train tracks, he decided he wanted to participate. If you're in the central Kansas area and would like photos, please email me! I'm still booking people throughout the summer and into Fall. And I think you'll be surprised at how reasonable my prices are. Ha! looks like a PERFECT DAY! now aren't you glad the client stood you up???!!! Looks like a wonderful summer so far! Great pictures! Sounds like you will have a wonderful summer with your sweeties. 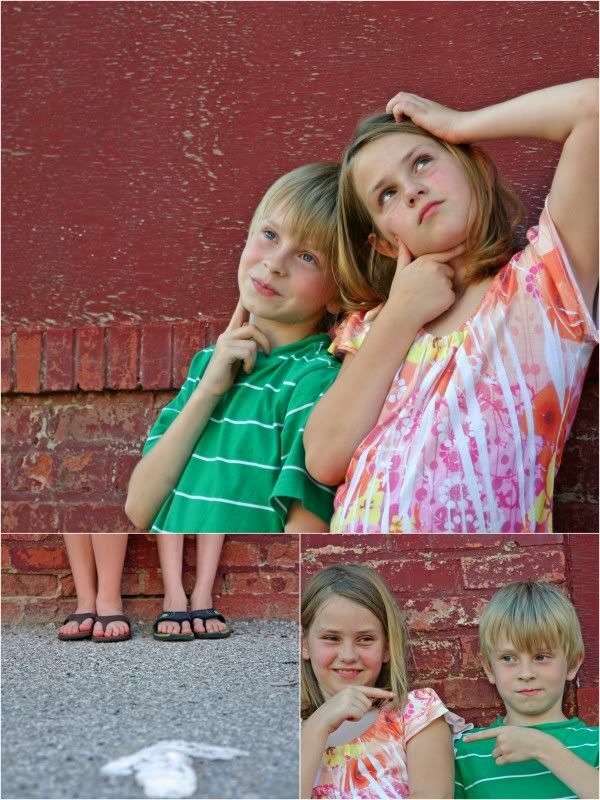 They do look like sweeties in all of the pictures, I love that your older two appear to get along pretty well (at least for you photo session). Yay for summer evenings and great photo ops!! Great photo shoot and a nice variety of shots too. Pleasure to browse. Someone stood you up? You want I should come take care of 'em for ya? I'll take bad baby with me. That'll teach 'em. I wish I were in the area! I'll bet you're fun to work with. 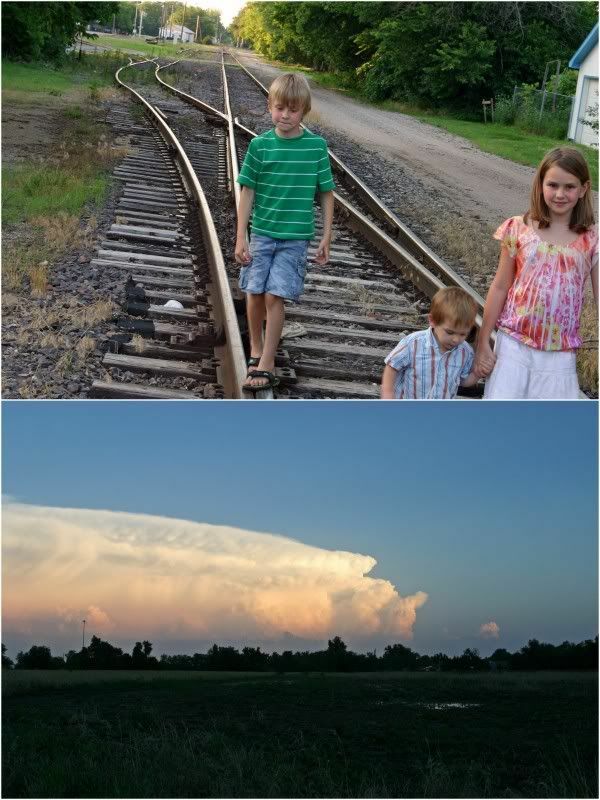 wonderful pics - thanks for sharing! Just wanted to let you know that I used your Dad picture idea for my husband for Father's Day and he loved it! (Thanks!!) I posted the pictures on my blog. Cute picture of the kids "thinking". Nice print to frame. Great shoot! Your kids are so adorable and the boy and the girl are great models and when the baby grows a bit and is no longer naughty (yes, it will happen) I'm sure he will be a great model also. I love the pics on the stairs and the one of the three on the tracks and well, they're all quite good! Great photos! I so admire your unplug it day and also taking a break from all the extra summer activities to just enjoy your family. We have way too many things on our calendar this summer . . .it's harder to not do things as the kids get older. But I wish we weren't so busy! At least the baby wasn't throwing rocks this time :) I always get my best pictures when the kids not only don't match each other but my baby dresses himself in a striped shirt and plaid shorts. Changing the photo to black and white works wonders for most of these, sometimes not the patterns so much, but it does help. Cute!! I like that red staircase. I see no mismatched clothes - just happy kids with beautiful smiles! That last picture should be a FF - I am always amazed by God's handiwork in the clouds!